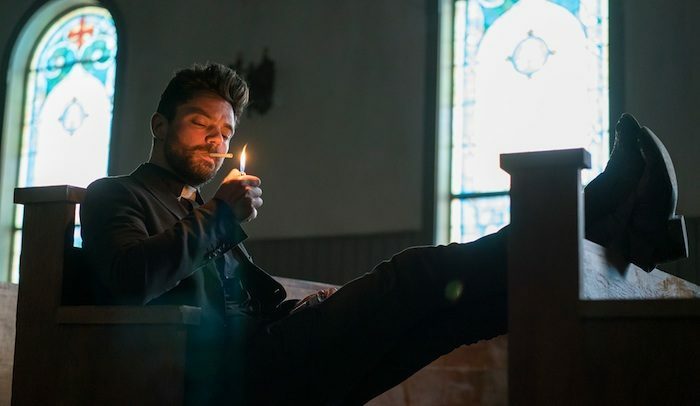 Contrasting big ideas with small-town life, Preacher follows Jesse Custer (Dominic Cooper), a disillusioned man of God with a shady past, as he searches for answers at the bottom of bottles. It opens in Outer Space, contains several counts of graphic bloodshed, a homemade bazooka, and a vampire who prefers to sleep in whiskey over coffins. Preacher is not your average show. Nor was it ever going to be. Gripping its comic book roots from the get-go, the show somehow manages to pull off the odd mix of intelligence, depth, and spectacular ultra-violence, via some richly ridiculous characters and dark, mysterious dialogue. Preacher is exec produced, written and directed by Michael Slovis (Game of Thrones), Sam Catlin (Breaking Bad), Seth Rogen (Superbad, Pineapple Express) and Evan Goldberg (This Is The End). It’s always a worry that when the ingredients are this good, the final product can’t possibly compare. Working alongside Garth Ennis and Steve Dillon – who created the Preacher comics (and notably also once created a comic in which The Punisher kills every superhero and villiain, ever) – and a phenomenal cast, it’s a huge success that the team manage to give such wild source material the depth it deserves when transferred to the screen. 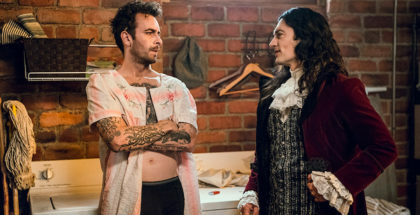 Following on from Dominic Cooper (The Devil’s Double), the cast in question includes Misfits’ Joe Gilgun as Cassidy, an often drunk, often brutally violent, vampire, who’s intrigued by the notion of a preacher with a dark past; Agents of S.H.I.E.L.D.’s Ruth Negga as Tulip, an old friend of Jesse’s with a dark present and a glint in her eye; and Tom Brooke and Anatol Yusef, who silently follow the trail of otherworldly bloodshed that’s headed towards Cooper’s titular anti-hero. The first episode introduces each faction brilliantly, each using their own style of brash mystery and stylistic aggression to frame the characters, before they are all thrown together, as Jesse’s fight between good and evil finally becomes his future. The Texas setting allows for a lot of drinking, a lot of pitch-perfect whispered threats and more than enough thousand-yard stares across the dusty town. 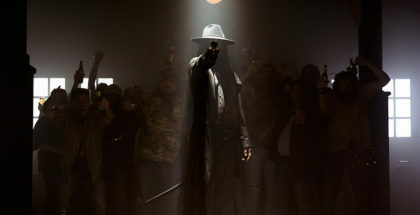 Characters this rich and three-dimensional, a setting this beautiful and fitting, and an attitude unlike anything else on TV – there’s a very good chance that Preacher could be another instalment in AMC’s history of truly unique, quality television. Amen. 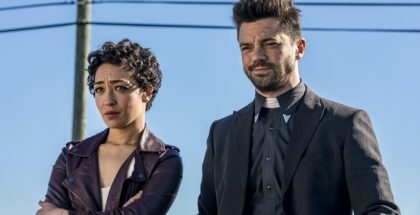 The first episode of Preacher is available to watch online in the UK exclusively on Amazon Prime Video from Monday 23rd May, as part of a £5.99 monthly subscription. Episodes arrive every Monday from 6th June, within 24 hours of their US premiere.